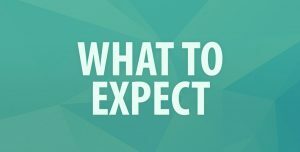 WHAT TO EXPECT: Amending Firearms Law and Kingston Common Council Next Week. The amended law, however, was rejected by the committee with a 2-3 outcome. In favor was Ward 9 Alderwoman Deb Brown and Ward 7 Alderwoman Maryann Mills. Opposed was Ward 1 Alderwoman (and committee chair) Lynn Eckert, Ward 2 Alderman Doug Koop and Ward 5 Alderman (and Majority Leader) Bill Carey. The law now moves out of committee and on to the Common Council next week (as a rejected item from committee) for a full council vote. Ward 6 Alderman Tony Davis, who works as a teacher for the Kingston City School District, must abstain and is considered a ‘no’ vote to whatever the outcome is next Tuesday due to the Board of Education’s resolution issued in early December of 2015. A little refresher on how this all works. The council meets on the first Monday of each month (this month, the date falls on May 2nd at 7:00pm) for their caucus where each of the parties have the opportunity to look over the draft agenda and legislation that will be placed in front of them to discuss. Generally at this meeting, council members debate each item and typically, the direction of the vote during the common council meeting is decided. This meeting is always open to the public. However, it is held in a small conference room which limits its capacity and generally, the public is not given the opportunity to speak. On the first Tuesday of each month (this month, the date falls on May 3rd at 7:30pm), the Kingston Common Council hold their monthly meeting, where legislation and other items are put to a vote. This meeting is held in council chambers where hundreds of citizens can be easily seated. Up front, there is always a public comment period where anyone can speak on matters that are on the agenda or otherwise. Generally, the public comment period is 30 minutes in length, and citizens are asked to keep their testimony to 2-3 minutes in length to allow for as many comments as possible. Members of the Kingston Common Council will discuss the Amended Firearms Law that was rejected out of the Laws and Rules Committee and other agenda items. This is an opportunity for the public to witness their council in action discussing the matter, and all other items on the agenda that evening. THIS EVENT WILL BE FILMED. Members of the Kingston Common Council will cast their vote on the Amended Firearms Law and other agenda items. There is public comment up front starting at 7:30pm. Citizens wishing to speak should arrive at 7:15pm to sign- up at the podium and to secure a seat in council chambers. THIS EVENT WILL BE FILMED. We request that the public support the council to send the amended Firearms Law back to the Laws and Rules committee for the text to be further vetted. This is in everyone’s best interest. The spirit of this law is a public safety and health issue, and there is no way around the fact that the law leaves out many critical features that should be in place to protect our community’s best interests. If you are only able to attend one of the two meetings, then we encourage citizens to attend the Kingston Common Council meeting that will take place on Tuesday, May 3rd at 7:30pm where the council will vote on the amended law. If you are comfortable to speak, then we request that you do so encouraging the council to move the amended law back to the Laws and Rules committee for further vetting. Citizens can also encourage or discourage the location of the shooting range/gun store – however, this discussion is more appropriate for the planning board and not the common council this evening. Changing the law is in their purview. Planning and zoning next week is not. 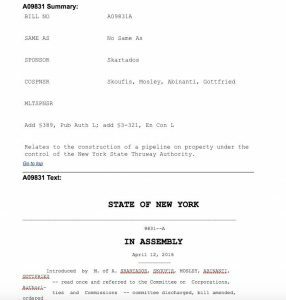 Carly Winnie at: cwinnie@kingston-ny.gov and request that she submit your letter to record, and to distribute to the entire common council and council president. If your testimony includes support or opposition to the location of the range, please send it also to the City of Kingston Planning Department addressed to the Director of Planning Suzanne Cahill at: planning@kingston-ny.gov requesting that it go on record and be distributed to all members of the Kingston Planning Board. NOT FEAR. JUST THE FACTS. KingstonCitizens.org is a non-partisan, citizen-run organization focused on increasing citizen engagement in local government and we’ve been at it for a decade. Regardless of how we have been portrayed, this platform does not take personal positions on issues. We simply point out the law and process, and in light of which, make recommendations based on both. We also work hard to provide information to help Kingston citizens be more informed on issues that are of grave concern. Because we are a citizen run organization reliant on volunteers, we cannot take on every issue that comes down the pike, though we wish we could. 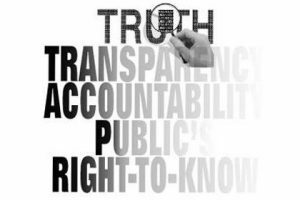 We do, however, use each issue selected by members of our advisory committee to illustrate the concerns of the public and, to expose any disconnects that might be present on any of the subjects in the way of transparency and process. We believe that when both are intact, than a more fair outcome is possible. What we have found is that on any issue we are focused on, many of the same concerns we raise are re-occurring elsewhere. It takes a village as they say, and hopefully, this work helps to encourage more citizen engagement in Kingston on all issues both large and small. Being civic minded is the public’s responsibility, after all. In light of which, in a recent article, Ward 5 Alderman (and Majority Leader) Bill Carey is quoted as saying “I think the fear is unfounded” regarding the location of the shooting range and gun shop being proposed for Prince Street in Midtown Kingston. Proximity of schools and childcare center. The proposed shooting range and gun shop will be located at 92 Prince Street in Midtown, Kingston. This is close to the Kingston High School (within 655 feet). The high school serves almost 3,000 students, and employs more than one hundred teachers and staff members. Further, the high school serves other students both within and outside of Kingston through after school activities such as sporting events, theater productions, and musical performances. The shooting range and gun shop is within 375 feet of the YMCA. The YMCA serves thousands of children and parents, not only in Kingston but throughout Ulster County. Public safety: prevalence of guns in a densely populated area. According to the Brady Center, where there is a concentration of guns, there is a concentration of gun violence. Also, although the district is zoned for commercial use, it is in a “Mixed-Use Overlay” district, which allows residential. The range is also next to a residential block. The rear wall of the proposed range — and direction of the firing — is 70 feet from the nearest residence and residential block. Public awareness: The public needs to understand how public business is conducted. Laws are not amended only on the basis of public opinion. They must be vetted for public safety, health and welfare. It is important for the public to participate with full knowledge of what constitutes and is acceptable process under the law. “These nodes will be connected not only by a network of streets supporting slow-speed/high-capacity vehicular travel, but by a network of on-road and off-road bicycle paths, and by public transit ranging from shuttle bus to trolley.” Prince Street and the intersecting network of streets are at the heart of this district. At the last Kingston Laws and Rules Committee meeting, residents and neighbors spoke in support and against the amended law and, the location of the range. We encourage you to VIEW this video for your information. Finally, we’d also like to clarify, that in the spirt of Democracy, KingstonCitizens.org respects all points of view. It is important to understand that a shooting range and gun shop inside of Midtown, Kingston – a Kingston specific issue – is far different than that of the Niagara Bottling proposal – one that had regional implications and that would impact communities in different ways that included Kingston, Woodstock, Town of Ulster, Saugerties, Port Ewen and Esopus. In this case, Kingston’s Common Council needs to hear from Kingston citizens, and especially those who live, work and attend public schools, youth activities and child care in the Midtown area. Although public comment is open, we request that citizens living outside of the area respect those living in Kingston first. Specifically those in Midtown, which is the heart of Kingston. A good amount of investment has been poured into this area, and a lot more is known to be coming. That mustn’t be lost in this debate. 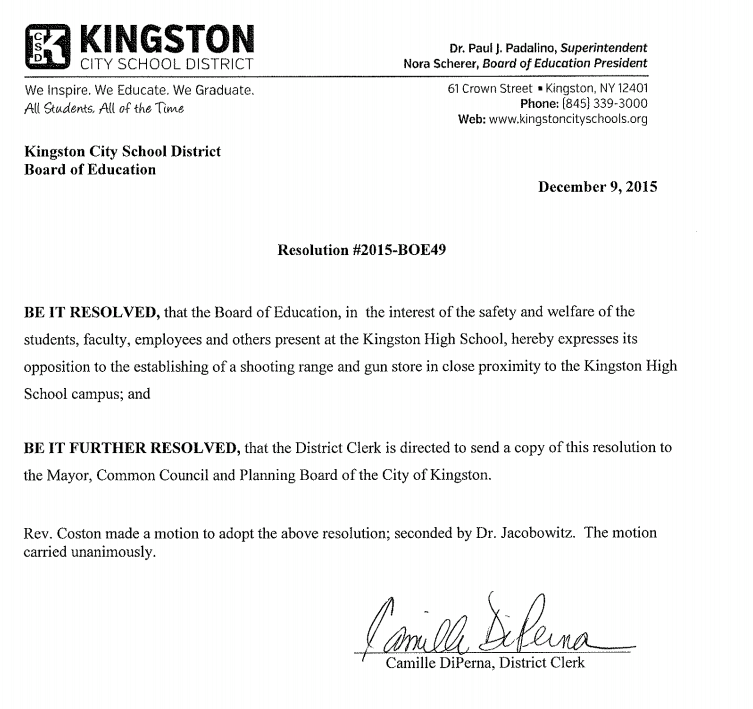 Kingston Times: Gun Shooting Law Amendment Likely to be Revised. Kate Hudson of Riverkeeper gave a presentation of the proposed Pilgrim Pipeline project as well as an explanation of the bill and the timeliness of its passing. The committee’s swift action was in part to act in time to send Kingston’s support to the NYS Legislature before their 2016 session ends in June. The resolution will come up for a full council vote next week. VIDEO: Laws and Rules Meeting 4/19/16. 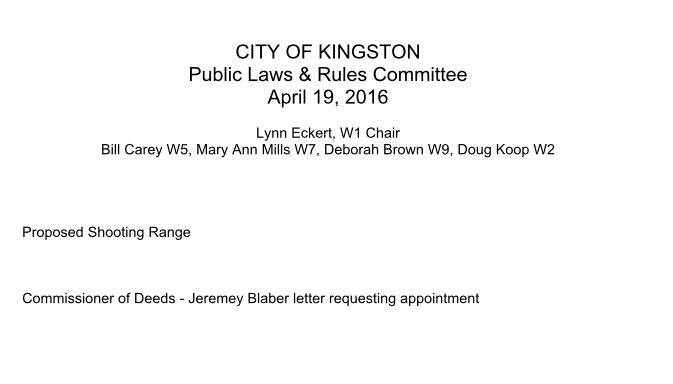 Public Comment on Amending Kingston Firearms Law. Ward 1 Alderwoman Lynn Eckert, Chair Laws and Rules Committee shares ground rules. Has concerns about amending the law. Supports tabling amending the law. Discussed broken process. If law isn’t amended, the city will have to stop ceremonies/events such as memorials or re-enactments. – Asks for a motion. – Maryann Mills makes a motion to move on Deb’s language to amend the law. – Deb Brown seconds the motion. – Lynn Eckert opens it up for discussion. – Bill Carey brings up Bill Forte’s comments regarding ceremonies, etc was not included in Deb Brown’s text. There might be issues or exceptions to consider. – Bill Carey asks Dr. Adam Soyer a question. – More discussion between Bill Carey and Dan Gartenstein. – Steve Schabot (Ward 8), what can we expect as a time frame? Dan Gartenstein answers. Month to month. – Doug Koop clarifies are we amending or tabling? Doug Koop states that he is against amending the law. – Maryann Mills states the city is about to update all of its zoning as per the Comprehensive Plan which was newly adopted. She states she has read comments such as “If the shooting range were proposed to be in a more affluent part of Kingston, it would never occur.” She disagrees. – Nina Dawson continues debate. As a mother, she has to look at the other side of things. Sorry that Dr. Soyer has had to wait for an answer, but feels that location is questionable. How can we not review Jennifer Schwartz Berky’s comments? – Mike Moreillo speaks to his memorandum. – Dan Gartenstein explains process. – Lynn Eckert, Maryann Mills, Dan Gartenstein discusses process. – Maryann makes another motion to move the amendment through committee. – Dan advises the committee tables. – Discussion between Bill Carey, Maryann Mills on items missing from amended text. – Nina Dawson on the amendment. – Committee votes. Maryann Mills and Deb Brown in favor. Bill Carey, Doug Koop and Lynn Eckert are opposed. – More discussion, confusion on the vote. THIS EVENT WILL BE FILMED thanks to Kingston News. Brought to you by KingstonCitizens.org. Sign-up to speak at 6:45pm. a Shooting Range and Gun Shop on Prince Street in Midtown, Kingston. Please arrive at 6:45pm to sign-up to speak. Public comment will begin at 7:00pm. Residents should prepare a statement in advance that includes stating their name, where they are from and be no more than 3 minutes in length. Please show respect to your fellow neighbors and elected officials this evening. If you are a Kingston resident, consider calling your elected officials beforehand to share your opinions, concerns, etc. If you do not see your ward noted here, please visit this LINK for more information. Is Proposed Shooting Range in Midtown Kingston Illegal Under City Code? On Process and Transparency: The Proposed Shooting Range in Midtown Kingston. Yesterday, we learned that the proposed shooting range proposal slated for Midtown, Kingston was to be placed on the Finance Committee agenda for discussion today (Wednesday, 4/13). If you are like us, that’s barely enough time to plan to attend for an issue that might be of interest. All of our schedules are thrown to get there within 24 hours. But this is the way our council has outwardly communicated with the public for as long as we can remember, making it very hard for citizens to engage. At last March’s Public Safety/General Committee meeting, the shooting range proposal was also placed on the agenda. But unlike today, the agenda was never made public which means, citizens couldn’t plan to attend at all. Dr. Adam Soyer, however, who is proposing the shooting range along with his supporters were in attendance. The discussion therefore, had only the potential of being one-sided.